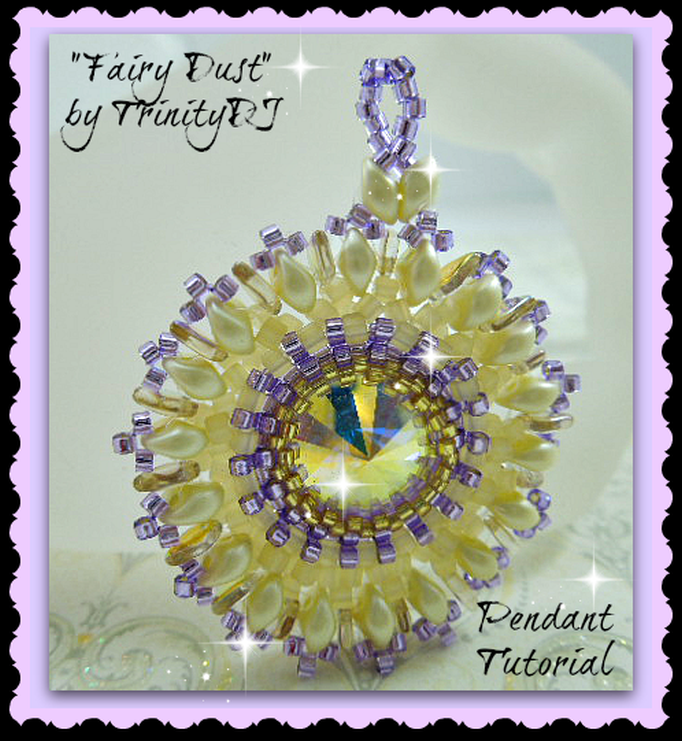 This is a circular peyote stitch pendant tutorial. 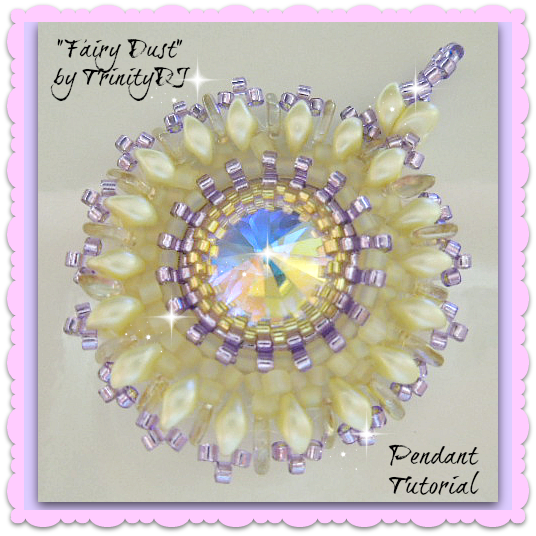 This tutorial is designed for the use of Delica seeds #11 and #15, O-DUO beads, Dragon Scale beads, 14mm Rivoli Crystal, Miyuki Cube beads and 5 lb nylon thread with #10 or #12 beading needle. Step by step instructions with photos will guide you all the way.